I have such exciting news! The story that Deedy (Dorothea Jensen to the World) has written down about me is finished. She called it Frizzy, the S.A.D. Elf. (Dizzy told me that S.A.D. means "Seasonal Affection Distress", which is how I feel every Christmas when Santa takes away my beautiful dollies in order to deliver them to little girls.) Dizzy helps me figure out something new to work on that I won't love and therefore miss terribly when they go. Everything works out, but not in the way that I thought it would. Pictures are showing up on Deedy's computer from somebody named Shayne Hood. It's like magic! They have all been drawn, and we are just waiting for them to be colored in. Then, watch out, world! 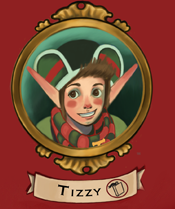 You'll have a brand new Izzy Elf story to enjoy. This is how I look at the beginning of my story. I look MUCH happier later on! 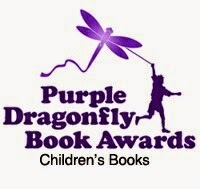 So I know this is our Very Own ElfBlog, and most things we talk about here are about us Izzy elves, but I wanted to let you all know that our Deedy (Dorothea Jensen to people who don't know her as well as we do) has won ANOTHER book award! This was for a L-O-N-G story she wrote a L-O-N-G time ago! It's called The Riddle of Penncroft Farm and everyone in it has strange, round ears. This year is its Silver Anniversary - that's how old it is. Kids has been reading this story all over the place for twenty five years. It won awards when it first came out, but this is a brand new award. Hurray. But there's even more NON-elf news. Deedy has finished writing another L-O-N-G story called A Buss From Lafayette. Watch for it!